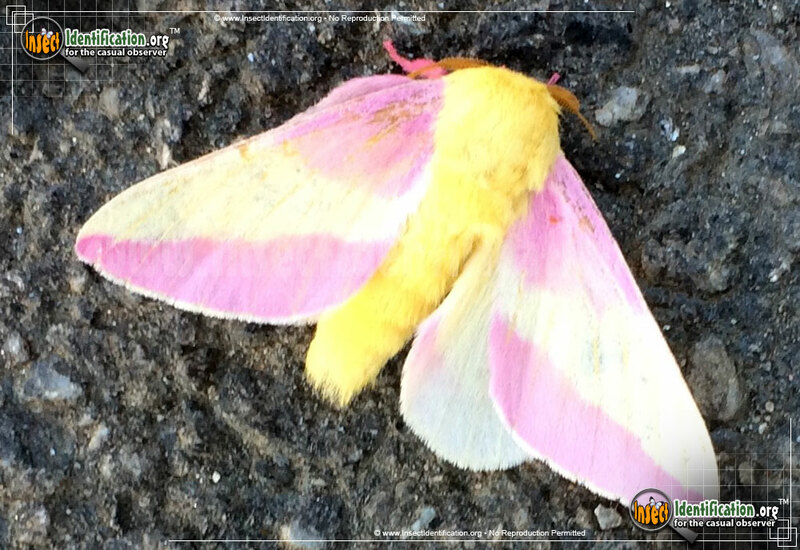 Detailing the physical features, habits, territorial reach and other identifying qualities of the Rosy Maple Moth. 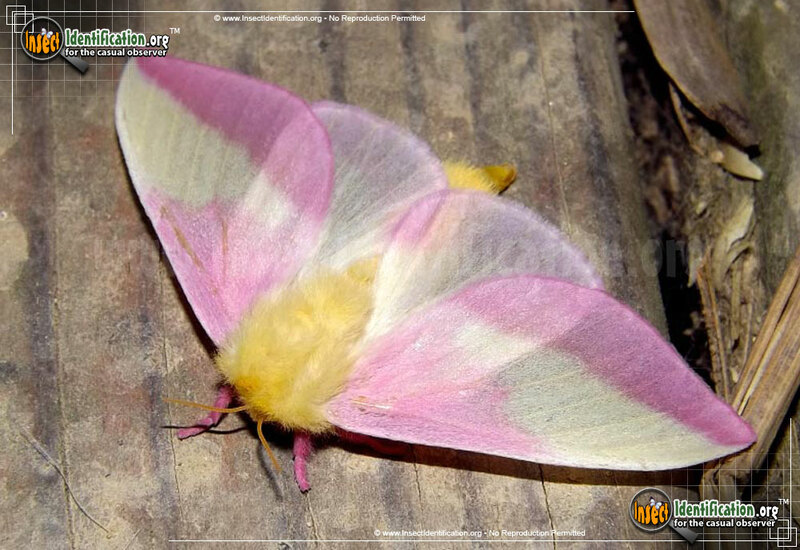 The pink and yellow, bright and furry Rosy Maple prefers maple trees when browsing for comfortable housing and food stores for its caterpillars. 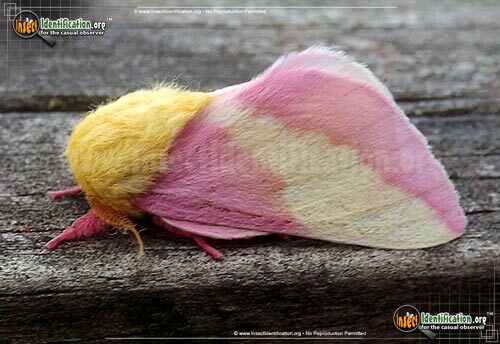 The colors of the Rosy Maple Moth make it easy to spot on a maple tree. The wings range from purple to pink and have a white or yellow band running across them. Its body is yellow and quite furry. This cheery moth is common in the eastern part of the continent. It prefers hardwood forests that include maple and oak trees, but suburban backyards and parks are a popular spot to find them, too. When ready to breed, females are believed to release a pheromone into the air that males up to half a mile away can detect. While adults are generally found alone unless mating, the larval form caterpillar can be seen grouping together on a single tree. The green caterpillar has long white stripes running head-to-tail. Red patches are near the rear end, while short spikes stud the entire length of the body. Two larger black spikes are at the head. The caterpillar's diet consists of the leaves of maple trees and other hardwoods. A large number of them on a young maple tree can inflict damage to the sapling, rendering them a pest, but mature trees handle the feeding well enough. The caterpillars weave silk cocoons, like other members of the Silkmoth family.